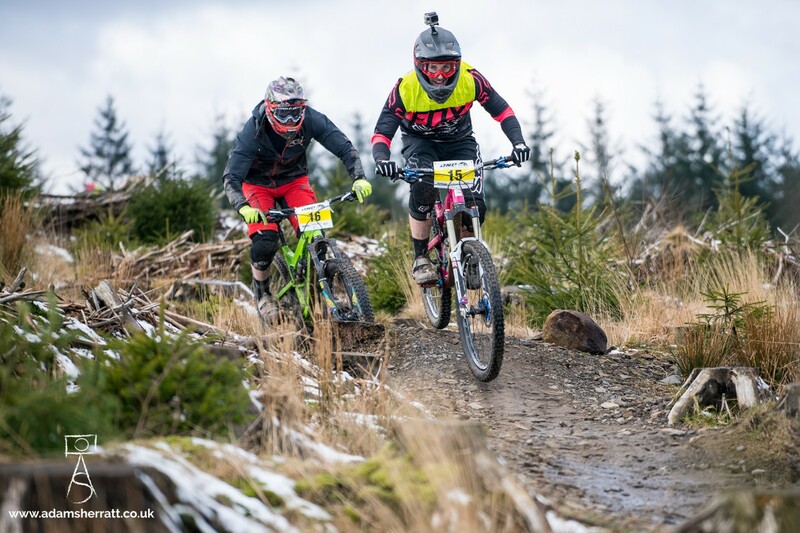 Haibike Mini Enduro Rd5 – Bike Park Wales. Race Day Saturday 8th December 2018. The Mini Enduro’s take place over one day and will be of a shorter distance. The race is mash up format so you can ride any of the stages in any order with your mates as many times as you like during the day. The stages will be all gravity with no uphills, just blasting down some of the best trails in Bike Park Wales. All 3 fastest stage times will be added together to produce the overall results for each category. 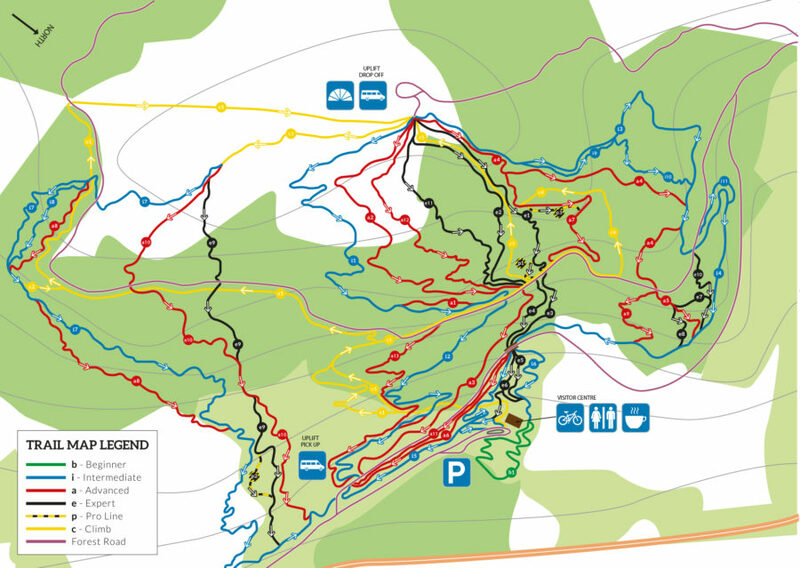 The map for the stages will be released on the Friday before the race but will using red trails for this race. Who can race? if your 14 or over have a mountain bike and a helmet then you can race. We are thrilled to have The Trailhead Bicycle Company onboard as a category sponsor supporting the bigger than ever senior category. Trailhead are just as focussed on grass roots racing as we are, the One Industries Mini Enduro is all about getting new riders into the sport, we do this by offering high quality fun races with professional timing in a laid back atmosphere. The Mini Enduro races are all standalone, so there is no pressure of racing an entire series. You can just enter any event and ‘race as you go’. However ourselves and Trailhead have realised that some people still like racing for an overall position at the end of the series, so Sandy from the Shrewsbury based bike shop is going to also sponsor the overall winner of the senior category as well as offer prizes at each round for the top 3 in seniors. We see this has ride what you have a type of racing if you have an all mountain bike that’s great if you have hardtail XC bike or a do it all hardtail then this is way for you start racing on it and chance to stand on the podium in your category. 1, A motor rating of no greater than 250watts motor rated output. 2, An assisted maximum speed limited to 15.5mph. A helmet (open or full face) must be worn during all race and transition stages. All Competitors must be self-sufficient and prepared for a varying climate as well as any basic mechanical repairs. Consideration should be given to the nature of the course and the length of time the event may take to complete. A deposit of £100 will be required at registration from a Debit or Credit card and will only be taken if you don’t return your transponder after the race. On site there is the cafe at Bike Park Wales with a bike wash. Sorry but no overnight parking or camping on site. Friday – Bike Park Wales open open to ride as normal (normal riding day fee) the stages are marked out but with no marshals or medics on the stages. No Start times you can ride any of the stages in any order with your mates. We all have our own speed of racing some are fitter & faster than others which can lead to faster riders catching up slower riders on a stage. At the start of each stage there will be a time control. In the interest of safety each stage has a cut off time when the stage is closed. Riders arriving after the stage has closed will not be allowed to start and must return to the finish area. Nearest Station: Pentre-Bach (1.0 miles), CF48 4BD, 10-15minute cycle. ntinue to develop and maintain the trails. Please note you can swap your entry with another rider £15 Fee. Please email chris@minienduro.tv please note we will not deal with any cancellations over the phone, by text or Facebook. Inform us of your full name, category racing and which race we are dealing with. Force Majeure: If racing is prevented (directly or indirectly) from performing any of its obligations under the entry agreement by reasons of act of God, strikes, trade disputes, breakdowns, government or political action, interruption of transport, acts of war or terrorism, acts of omissions by a third party for any other reasons whatsoever outside of our control, the organiser or land owner will be under no liability whatsoever to you and may as its option, cancel the event. Please follow the minienduro on Facebook to ensure you are kept up to date.